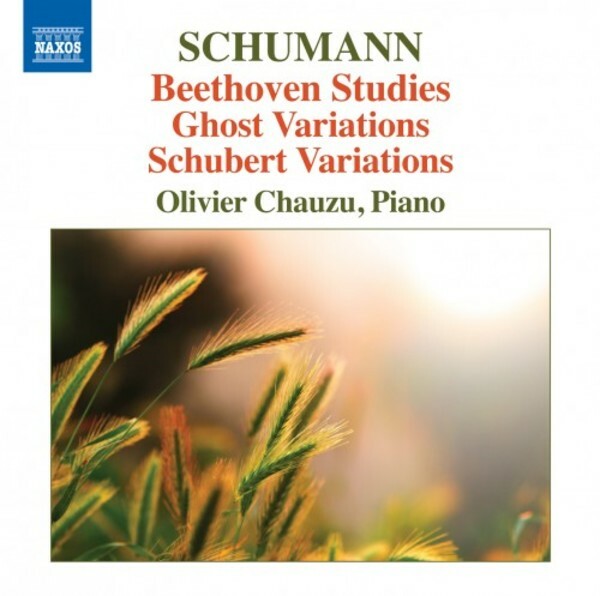 Some of Robert Schumann’s rarest piano music can be heard in this disc, which ranges from his precocious Titania Overture arrangement to the Ghost Variations, the theme of which, he told his wife Clara, had been sung to him by angels. His Beethoven Studies survive in three sources, whilst his admiration for his contemporaries Schubert and Chopin is shown by two works containing a series of variations. The 1836 Third Sonata is included in the pre-1853 revision and also included is the original version of what became his very popular Toccata, op.7.